The idea of prefiguration is widely assumed to derive from anarchist discourse; it involves experimenting with currently available means in such a way that they come to mirror or actualise the political ideals that inform a movement, thus collapsing the traditional distinction between means and ends. Practically all the literature on prefiguration has so far focused on structural, organisational and interactional issues – specifically, how activist communities attempt to create in their own interactions and in the way they organise their work the kind of society they envision: non-hierarchical, non-representational, inclusive, respectful of diversity. This article explores the extent to which volunteer subtitling undertaken by disparate individuals for collectives connected with the Egyptian Revolution supports or undermines the prefigurative agendas of these collectives. In doing so, it tentatively extends the current definition of prefiguration to encompass textual, visual and aesthetic practices that prefigure activist principles and actualise them in the present, focusing in particular on the level of experimentation involved in such practices. 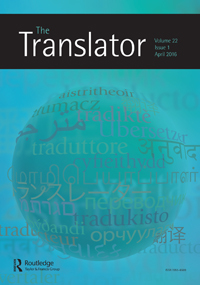 Click here to download pre-publication version of the article: Baker Subtitling in Egyptian Revolution .